The CITT – Network Migrations team in Bangalore GDC focusses on Routing & Switching solutions and technologies to help customers Plan, build, deploy and migrate networks. We need a creative problem solver, comfortable with challenging the status quo and rapidly responding to customers’ demands to deploy and support Cisco’s latest technologies and products. With a seasoned mix of broad networking knowledge and specific area expertise, you're well positioned to become a trusted advisor, capable of building solid, long-term relationships with customers. You will be expected to continuously enhance your skills and expertise to lead the technology/solution transitions and industry trends. Provide planning, Designing and Implementation services to Cisco’s Advanced Services Customers. Participates in or leads complex network migrations projects from Cisco to Cisco or any competitive platforms to Cisco. Delivers migration plans, with a thorough understanding of network, customers change management processes, migration processes and related dependencies. Work closely with the project manager on the engagement to ensure compliance to set processes, weekly progress and status checks, ongoing communications and meetings and drive technical leadership and solutions & deliverables discussions with the customers. Mentor, coach and guide other consultants and engineers on the project to enable them for delivery. Work closely with the sales and regional teams to participate and drive the preparation of proposals and Statements of Work. Identify & influence additional business opportunities in collaboration with sales team by leveraging knowledge of customer’s network, challenges and future plans. Ensure smooth closure of engagements using relationship with the customer and guide them to the next steps. Technologies : LAN Switching, Layer 2 WAN technologies, BGP, OSPF, ISIS, IP/MPLS, QOS, Traffic engineering, Multicast, QOS, Layer2/3 VPNs , IPv6, Metro Ethernet services, VPLS, VPRN on a hybrid network comprising of Cisco and competitive platforms. Hands-on experience in installation, configuration, testing and troubleshooting and/or Network solution designing of Cisco routers and switch is must. Prior experience of conducting customer workshops, High level and low level network design experience would be preferred. Scripting knowledge on Python, Pearl would be highly preferred. Excellent written and verbal communications skills, ability to communicate technology strategy and architecture approach to engineers, executives, and Cisco customers. Strong consulting & client-facing skills to include cross-functional influence, external and internal consulting/partnering. 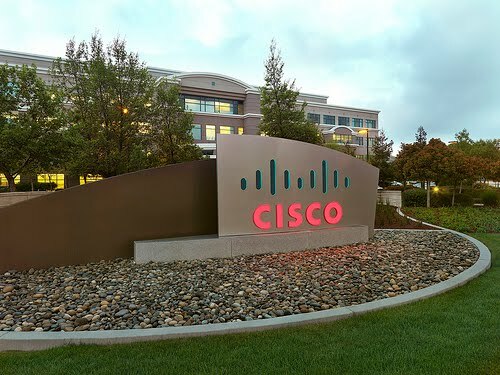 Passionate, persuasive, charismatic thought leader capable of quickly establishing executive interest in Cisco services by articulating the value and business advantage of Cisco’s network migration services. A self-driven individual with the curiosity to learn, work in a fast paced changing environment, evolve continuously to keep pace with the Cisco’s solutions, technologies and industry trends, be an inspiration and trend setters for others.